I decided to spend this weekend creating several posts featuring Oriflame The One Colour Unlimited Lipsticks. 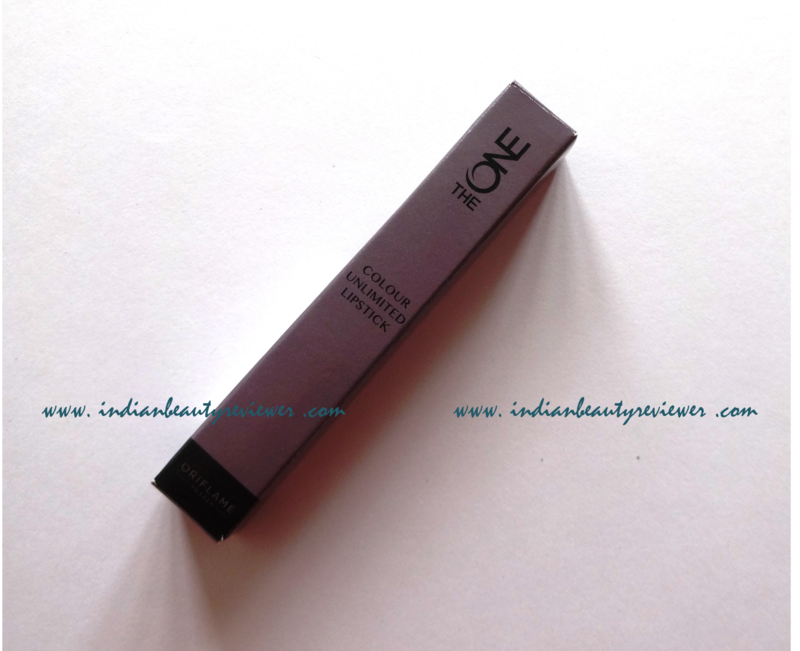 The lipsticks have been recently launched in India and I have been loving them this winter. These are extremely moisturizing lipsticks with a glossy finish to them. Oriflame The ONE Colour Unlimited Lipsticks come in 8 shades in India. These are AbsoluteBlush, Pink Unlimited, Fuchsia Excess, Always Cranberry, Mocha Intensity, Forever Plum, Violet Extreme and Endless Red. Click on the shade name to read its review. Price is 499 INR/- for a 1.7 g bullet. 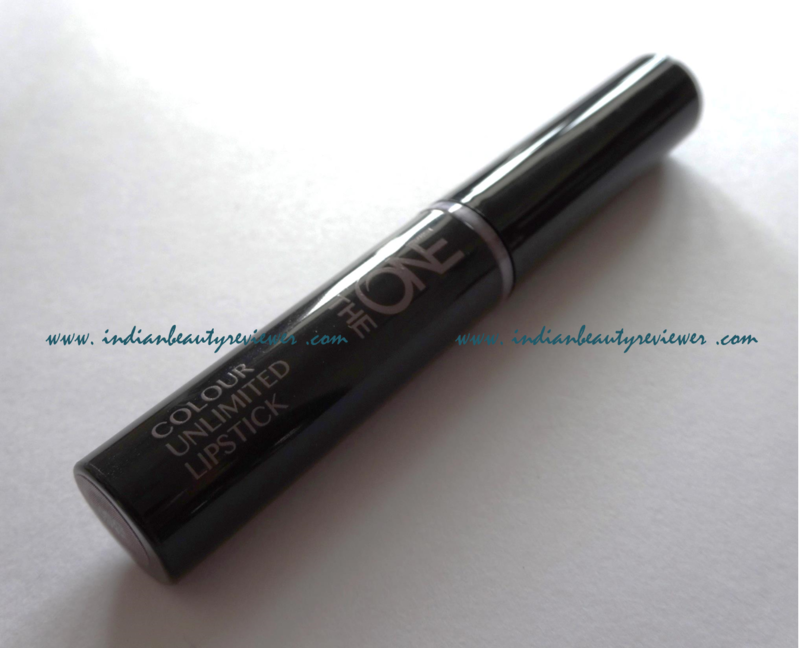 This post will consist of a Review of the Oriflame The One Colour Unlimited Lipstick in ABSOLUTE BLUSH. Oriflame The One Colour Unlimited Lipsticks come in taupe colored cardboard boxes. I absolutely love the sleek design of the plastic lipstick case which is am almost blackish navy ble shade with clearly readable gray font. The packaging is very light and really glossy. It almost looks like a tall thin lip balm but a chic one. 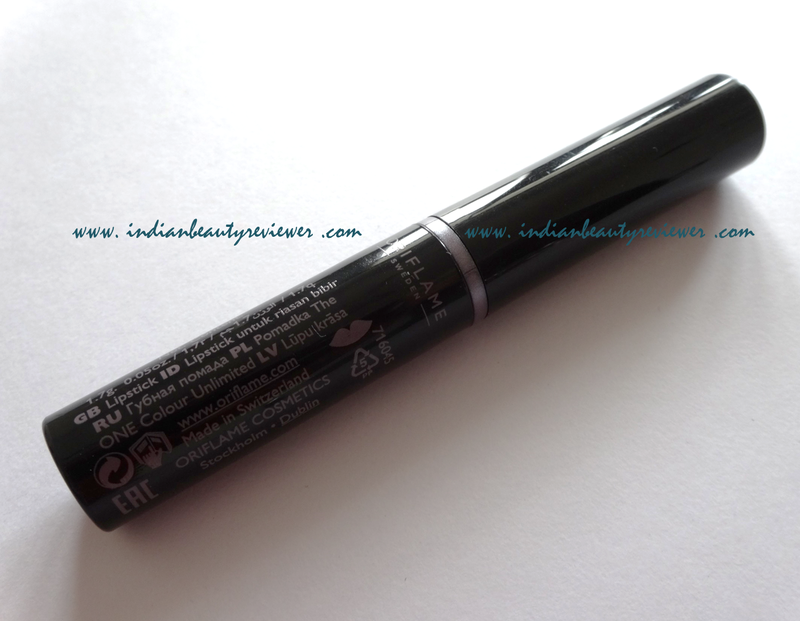 The lipstick bullet is again very slim and dainty but its performance is really stirdy. The bullet size is such that it would fit onto the thinnest of lips and this would help in precise application avoiding any mistakes. The bullet just glides on the lips coz the product has such an amazingly smooth texture with immense hydration properties. The pigmentation is also very good but the lighter shades need to be built up a bit in order for them to be really visible as the initial coverage from the beginning strokes is quite sheer. It looks like a glossy lip balm which can be built up to resemble shiny hydrating lipsticks. Oriflame The One Colour Unlimited Lipsticks have a range of light to dark shades which have a buildable coverage and are thus suitable for wearing in an office setting or sporting at parties. They are so versatile that they can be worn anywhere, anyhow! The feel of these lippies is feather-light and the consistency is quite creamy. The finish ofcourse is quite glossy as I mentioned earlier. The lasting power however is not too much. On me the lighter lip colours survived for approximately 3 hours without any eating or drinking and the darker shades between 4 to 5 hours as opposed to the 10 hours claim. Touching up would be necessary any time after eating/drinking if you would like the same intensity as the initial application. These lipstick also have a mild fuity-floral scent to them with the same flavour which is not a bad thing at all as it gives a good feeling smelling that lovely scent while the product is on the lips. 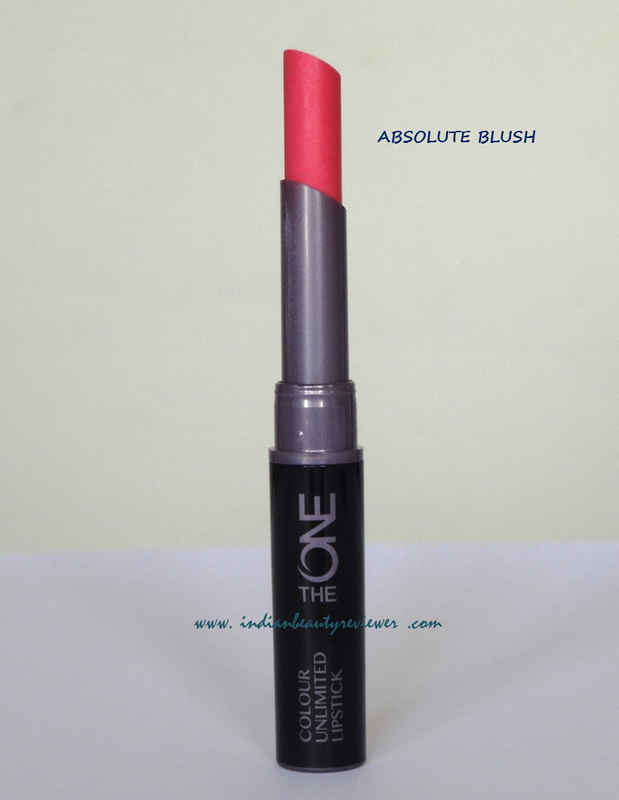 Oriflame The One Colour Unlimited Lipstick ABSOLUTE BLUSH: This shade of pink literally resembles the rosy glow that appears on the cheeks when one blushes. 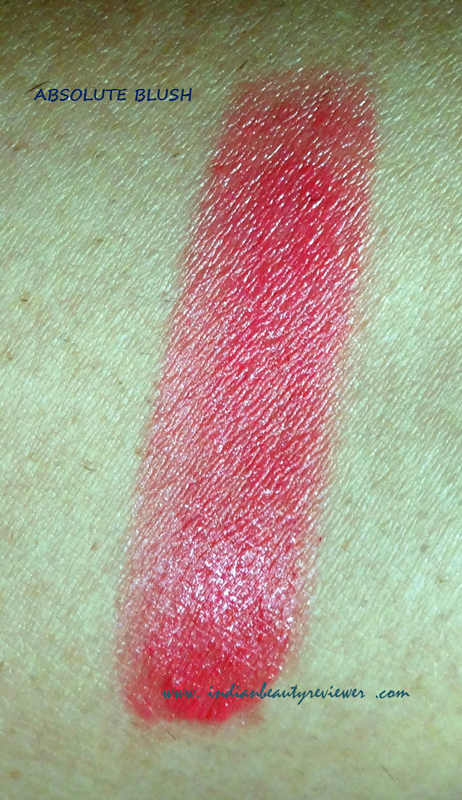 It’s a gorgeous slightly intense pastel pink with corally undertones which will look beautiful on fair-skin tones. 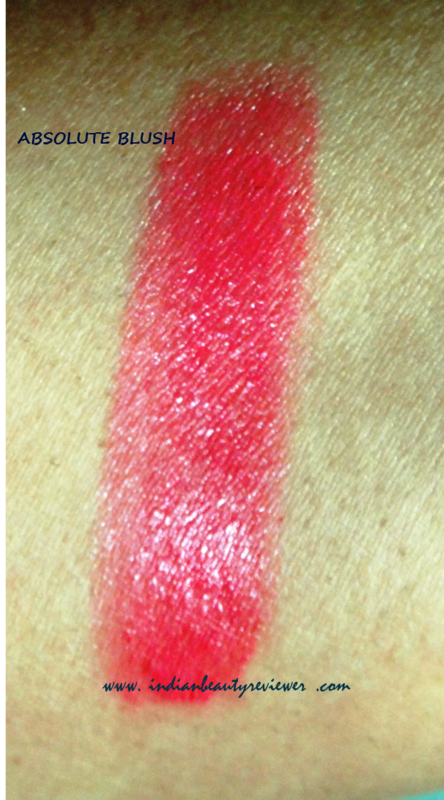 It’s a very feminine girly shade which will almost give a delicate hint of pink to the lips and is great for day wear. 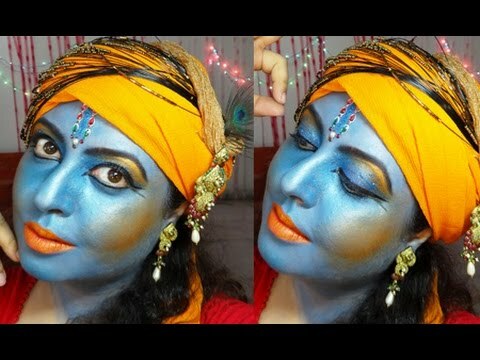 You would really have to really build-up the lippie on the lips to get the color to show up as in the bullet. I would recommend using a concealer on pigmented dark lips first if trying to wear this shade,will save you the disappointment of the color not showing up without a base. 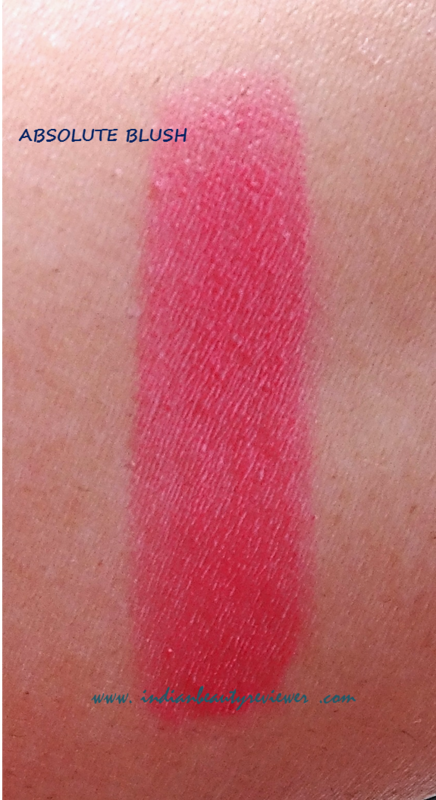 In the swatches below, however, I have not used any any base just so you guys can see the shade in its most unadulterated version. Oriflame The ONE Colour Unlimited Lipsticks are widely available online at Oriflame`s Online Website and several other popular online shopping portals in India. So what are you waiting for gals ? Get your favorite shade today !